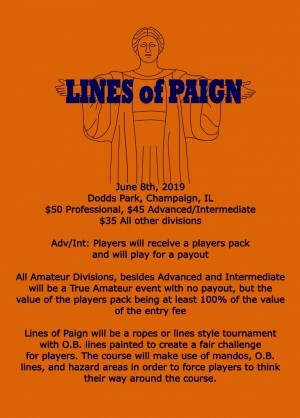 Lines of Paign will be the first ever PDGA Sanctioned Singles tournament at Dodds park! This will be a 2 round tournament of at least 18 holes for both rounds. 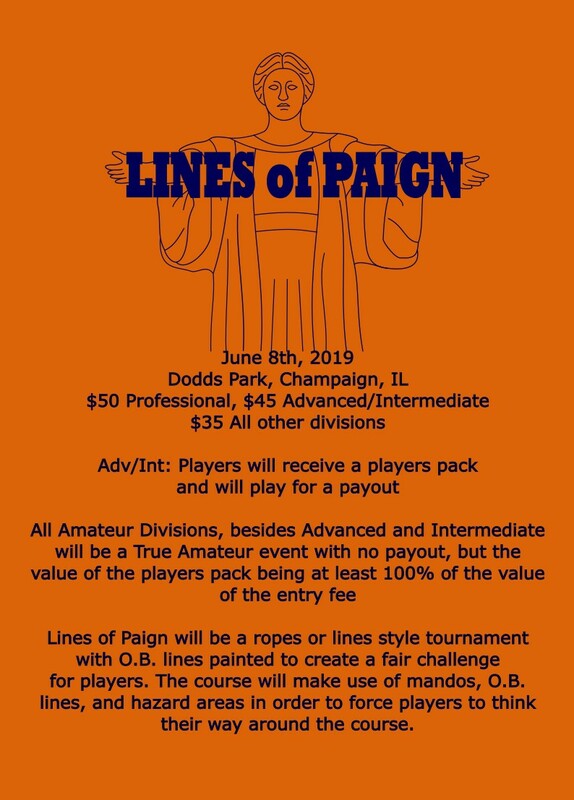 The Lines of Paign tournament will be a lines or ropes style tournament, making use of painted O.B. and Hazard lines, as well as Mandos, in order to add a fair challenge and make players think their way around the course. Advanced and Intermediate will receive a small players pack and will play for a payout in merchandise. All other amateurs will be true amateur, and will receive a large players pack and will compete for trophy only. The players pack for these divisions will be valued at over 100% of the entry fee. Tad Carlson is responsible for all refunds/cancellations. - 1:15pm Lunch is for one hour after the last card is turned in from the first round.